100 Mile Club Community Run at Jurupa Valley High School! 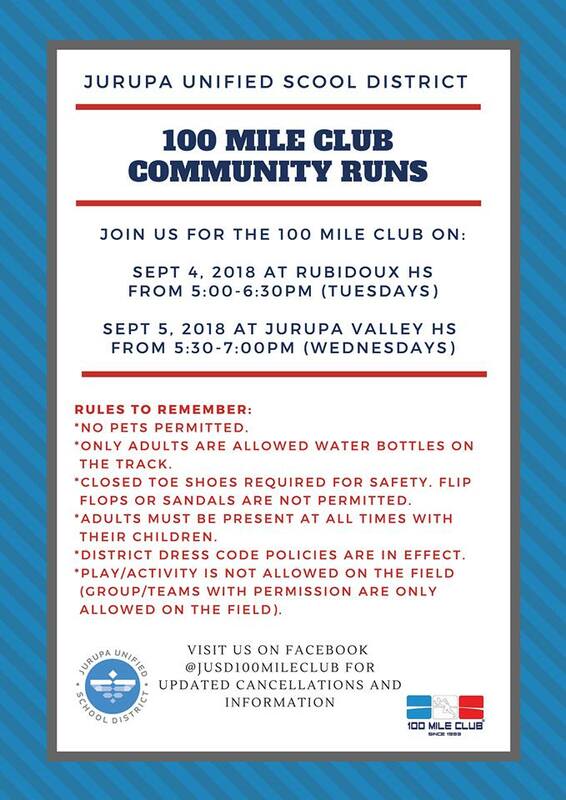 Join us for a 100 Mile Club run every Wednesday from 5:30 pm to 7:00 pm at Jurupa Valley High School. Unase a nosotros para el club de 100 Millas comenzando todos los miercoles en Jurupa Valley High School de 5:30 pm a 7:00 pm.